The Yield will be at the start of the hanging bridge. Jet is doing this Road Block and he starts. He memorizes the numbers and he gets to the padlocks, but none of them open. Jet makes his way back and Kelvin & JP arrive. 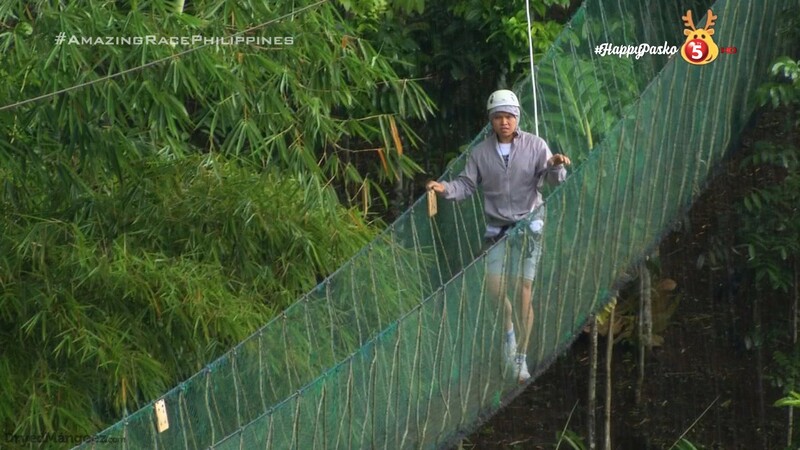 JP starts out on the bridge and he gets to the door, but nothing opens. Matt & Phoebe open the Road Block clue and she wants him to do it, but he can’t since he already has 5. They get to the Yield board and they flip over the hourglass. They are happy to see the first two teams are still struggling. Jet goes on his 2nd attempt and he finally opens the first lock, but nothing else. Roch & Eji come running past Matt & Phoebe. 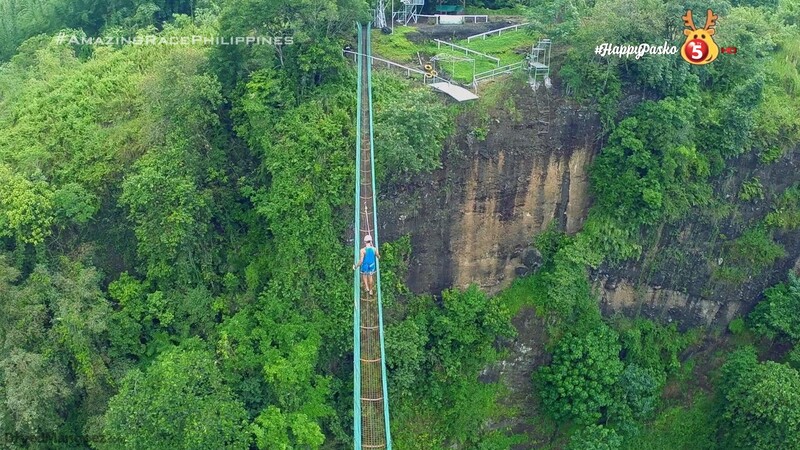 Roch decides to do the Road Block and she heads out on the bridge. But none of locks open. She is not sure how to open this kind of padlock. Matt & Phoebe’s Yield is done and Phoebe gets to start on the bridge. Phoebe decides to make a song to memorize the numbers. She gets to the door and she opens the first padlock. Then she opens the 2nd padlock. And the 3rd. And finally the 4th. She opens the door and grabs a clue from the cluebox, happily returning to Matt. Matt & Phoebe are happy to show the others a Yield will not stop them. Jet returns for another attempt and fails. JP comes up with a song and dance and that helps him open the door. He brings the clue back to Kelvin and they leave. It’s Roch’s turn, but she still can’t open the padlocks. She’s not sure if it’s the numbers or the way she’s turning the locks. Yna tries comforting Roch and tells Kuya Jet to hurry up so Roch can go again. Jet finally opens the door and both he and Yna hug a crying Roch. Roch is frustrated that it is her fault if they are eliminated because of this. Eji doesn’t want to discourage Roch by feeling bad. But Roch finally manages to open the door. She gets the clue and screams happily as they try to catch up to the others. Another just okay episode. It was a good task, but one of those that doesn’t necessarily need a full 22 minute focus. I think it’s also a task that would be great with a whole bunch of teams. Not at the end though of course, maybe the first task of the Leg since it is a linear task. But it was still good and it provided for some great shots. Did you SEE those drone shots? Especially the one that had the drone flying away from the bridge?! AMAZING. 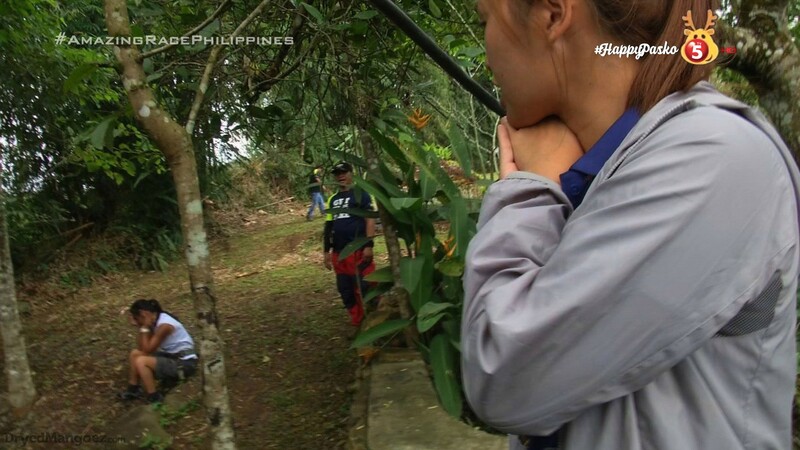 ← Recap: The Amazing Race Philippines 2, Episode 52 (Leg 9, Day 4) – "Hindi sila yung nagmamakaawa para mauna." I already watched the December 6 episode… im so happy sa result ng top 3.. they deserve the top 3… i am not anti-team magkapatid,, but i am happy na eliminated na sila… for me di nila ganun kadeserve ung top 3.. kasi first leg pa lang sila ung team na nagmamakaawa, ung sa track and field nakiusap sila kina luz and chen kung pwede sila pagbigyan, i think kung hindi sila pinagbigyan matatalo sila nina zara and osang, and maybe sila ung matatanggal sa leg 1, then sila ung pasimuno lagi sa mga alliances at kung sino iboboto, parang nawala ung essence ng amazing race because of that alliance, ung talent nila sa paggawa ng alliance ay pangSurvivor. hehe. 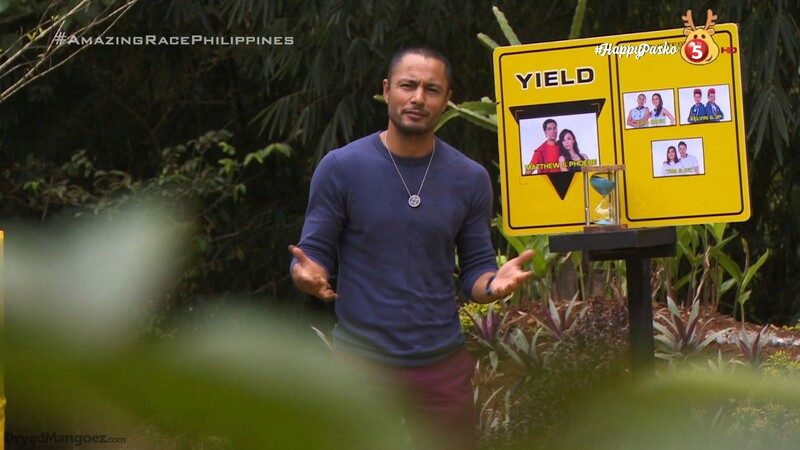 yeah sa ibang amazing race may nabubuong alliances pero hindi sila nagpapakabossy na kailangan sundin ung descision nila.. ewan ko,, affected lang ako sa ugali ng team magkapatid kapag pinaguusapan ung alliances hahaaha. ang bossy lang.. pero i still like them naman,, but i dont love them and hate them.. sakto lang, sapat lng. Mas hate ko pa din si Dayal ng season 1 hahahaa. The alliances were the worst part of this season I think.